The former Raleigh mayor and Chairman of York Properties previously served as board member, and will take on the new role as RTP launches its first redevelopment effort at Park Center. 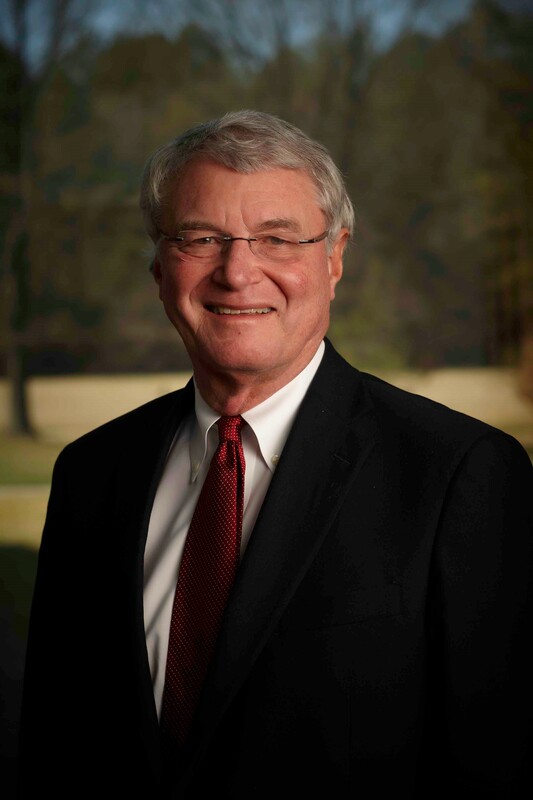 November 6, 2015 (Research Triangle Park, N.C.) – Smedes York of York Properties, Inc. in Raleigh, N.C. has been named Chairman of the Research Triangle Foundation of North Carolina (RTF) board of directors. He is preceded by Robert Ingram, who has served as chairman since 2011. As Chairman of the Board, Mr. York will lead the efforts of Research Triangle Park’s new development effort called Park Center. Park Center is the 100 acre property located in the heart of Research Triangle Park that was purchased by RTF in January 2014. The location will soon grow to become an inspiring place full of public green space, restaurants and energetic companies. Construction on the project is slated to begin on January 1, 2016, and will be the first major redevelopment effort in RTP’s history. Mr. York’s career in commercial real estate development will continue to provide much appreciated insight for the RTF board of directors. Throughout his career, York Properties has grown to manage nearly 3 million square feet of retail space, and has expanded to include a residential real estate arm and a commercial construction business. He also has a long history of giving back to the community, which has been demonstrated through his tireless work with the YMCA of the Triangle, NC State University Foundation, the Urban Land Institute, and the North Carolina Chamber. The Research Triangle Foundation of North Carolina serves as the governing body for the Research Triangle Park, a bellwether institution that was once referred to by Governor Luther Hodges as the “heart and hope of North Carolina.” Situated centrally among Duke University, North Carolina State University and the University of North Carolina at Chapel Hill, RTP contains 7,000 acres, 40,000+ employees, and over 200 companies, including Avaya, Cisco, Credit Suisse, IBM, NetApp, RTI International and Syngenta. RTP is also home to The Frontier, a new community convening destination at Park Center; and The Lab, an affordable option for wet lab and office space.